Jeans are such essentials in my life that it has almost become my second skin. I am sure it is so with a lot of people around the world too. No matter where we are in this world, we can see people wearing jeans irrespective of their social backgrounds. Though we can wear that favorite one pair of jeans for life, we should experiment with different styles. There are crazy varieties of denim jeans for ladies, so do buy all of them on various occasions. A comfortable blue and black jeans for women is an evergreen beloved for every woman’s closet. Here are a few types of trendy jeans which are widely available in stores and online. Skinny Jeans: Our heart goes out for the classic black jeans for women which is a wardrobe essential for every lady. The skinny jeans take the perfect shape of your legs. You can choose among different styles and cuts in skinny jeans. It never goes out of fashion and gives you a stunning look. Straight Jeans: It is the best alternative to office pants as they are straight and broader than a narrow fit. It looks smart and stylish. You can wear it on hangouts, dinners and shopping. 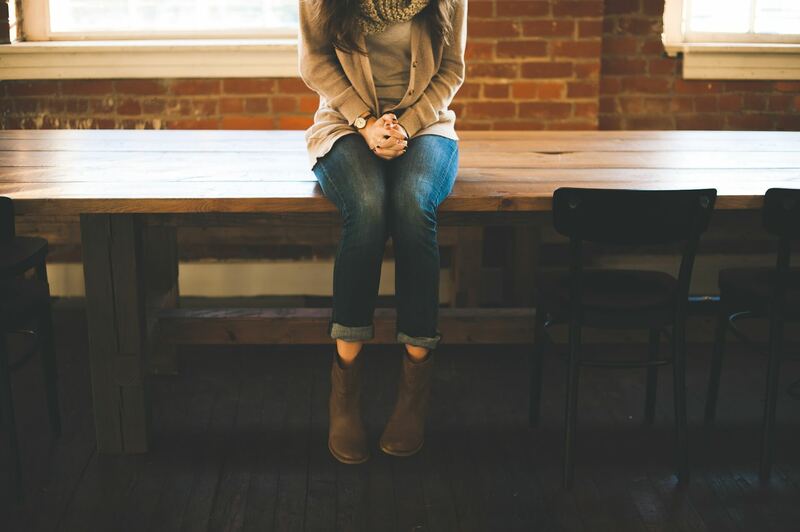 Jeggings: It is a twist added to your leggings to give it a denim look. It is ultra comfortable and appears very much like jeans. It is stretchable and easy to carry with both tops and kurtis. Ripped Jeans: The most fashionable jeans which are ripped at different places to give a cooler look. It is one of the most trendy jeans of the year. Bootcut Jeans: It was the most popular pattern in the 70’s and 80’s where every actress and modern woman would flaunt in boot cut jeans. These jeans should be paired with high heels to give the perfect look. Boyfriend jeans: It is a popular type of denim jeans for ladies, little baggy to make you feel comfortable. One who is short in height should avoid it as it makes them look shorter. High waist Jeans: These are the jeans which have regained popularity again after three decades. It looks stunning with crop tops and short tops. Accessorize it with broad belts to make it look even more stylish. Capri Jeans: They need to be carried with a twist and style to look smart. They are perfect for rainy season and summers. Buying jeans online is tricky as it has to be a perfect fit. However, there are popular brands which give discounts on buying jeans online. So, once you have extensive knowledge of a brand, style, and size, you can easily buy it online. There is always an option to return if it’s not found to your satisfaction. The foremost tip in buying jeans is to look for the stretch capacity and quality of denim.You can also try trendy leggings for women or jeggings. Alter the length or the bottom fit as per your personal requirements as most stores offer these services to customers within a stipulated time frame.